“Mamhilapinatapei“, Yaghan to describe “the look shared by two people, each wishing that the other would initiate something that they both desire but which neither wants to begin”. 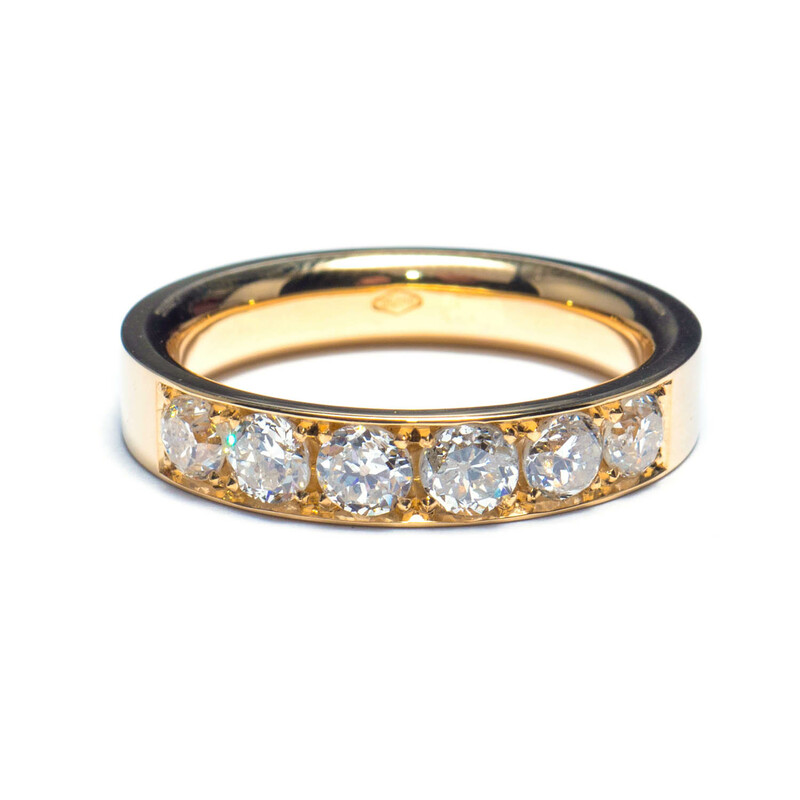 Give your ring the touch of eternity by adding diamonds to your band. 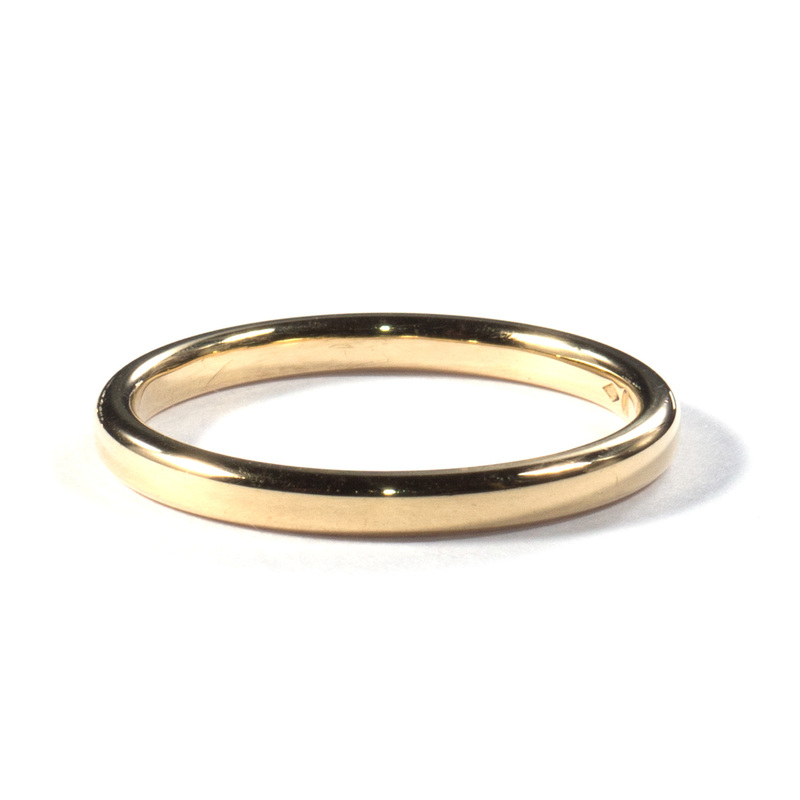 All our rings can be made with gemstones in a different size or quality. 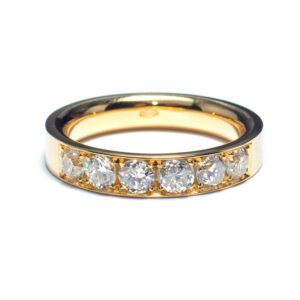 Contact us for more information about this wedding ring or visit us in our beautiful art deco jewellery store. We’ll share all our knowledge about engagement rings so you can find the perfect ring for this special moment. “Mamhilapinatapei” Alliance avec petits diamants sur l’anneau.